Our product range includes a wide range of chemical process pump cpc, chemical pump tch-n, multi stage pumps, vortex non clog pumps, chemical process pumps and vertical chemical pumps. Backed by the team of skilled professionals, we are engaged in offering an extensive range of Chemical Process Pump CPC. The Chemical Process Pump we offer to our clients is noiseless and ensures longer functional life. In addition to this, our range is available in plethora of sizes to cater to the bulk requirements of our ever growing customer base. Chemical process Pumps-Horizontal, radial split, volute casing pumps according to ANSI B73-1 specifications with open impeller, end suction, top centre line discharge. Simple external axial adjustment for impeller wear. Back pull out design enables to remove the rotor without disturbing the pipelines. If a spacer coupling is used, the motor does not have to be removed from the base plate. Only four bearing beds cover the entire 32 models. This means that the shafts, sleeves, bearings, and bearing beds are identical in and interchangeable for a large number of pump sizes. Acids,Process,Handling corrosive acids, soft flow dyeing, H.T.H.P dyeing, Paper, sugar process and Fan Pumps Centric Leaner Application in Paper mills. 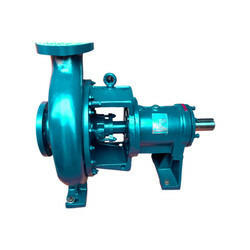 If you are looking for an organization which deals in providing Chemical Pump TCH-N of best quality, then go for us. 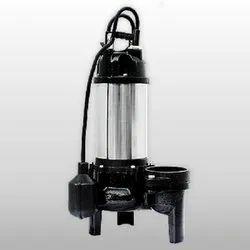 We have used only best quality material for the manufacture of these pumps that ensure their high quality and longer durability. Moreover, it is widely used in different industrial applications. Green, black Caustic slurry,lime-mud slurry, xtraction, alkalies, acids, NaOH, china clay, Fitrate, Hypo, Sqent wash, starch etc in pulp and peper mills and basic metal industries. Non-Clogging Operation, fully free vortex design. For sludge, Pulp, Ossein, Slurry applications. Only 3 bearing beds to cover 32 models. Green black, Caustic Slurry, lime-mud slurry, extraction, alkalies, Acids, NaOH, china clay, Fitrate, Hypo, Squent wash, Starch etc in pulp and paper mills and basic metal industries. With the help of our experienced engineers, we have been able to manufacture and supply a wide range of vertical Pumps.These pumps are acclaimed for their high functional efficiency and consistent performance. Vertical run completely dry without ill effect are used in applications requiring the continuous transfer of liquids, with high degree of reliability, hence remove one cause of breakdown which is often attributable to the human element. The most important gains to be derived from the use of Vertical Sealless Glandless Pump are in the sphere of maintenance and the consequent reduction in down-time production losses. 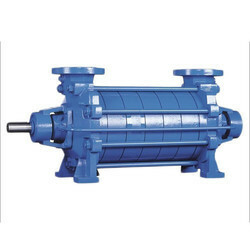 Normal maintenance on the Vertical Glandless Pumps is confined to lubrication of the driving motor bearings. Our comapny is instrumental in supplying and trading a high quality gamut of Compact Chemical Pump in Coimbatore, Tamil Nadu, India. These are manufactured from top quality material, parts and innovative technology. A group of magnet (drive) turns jointly with motor shaft, generating a magnetic torque which allows the rotation of the secondary magnets group on which is moulded on the impeller insert. 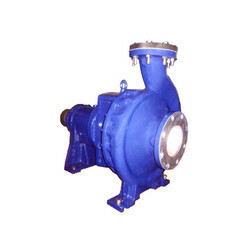 The pump can avoid atmospheric hazardous effects due to the leakage problems. Our range of Compact Chemical Pump can be availed from us at market leading rates. 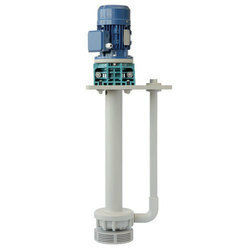 Chemical Pump PPM are sturdy, compact in design and are cost-effective. 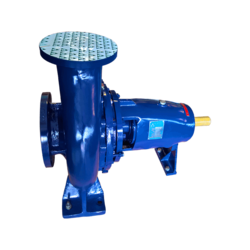 The Series PPM pumps impeller is directly installed on the motor shaft, reducing the number of components and associated costs. Series PPM pumps are available in solid injection moulded PP, GFP and UHMWPE materials. 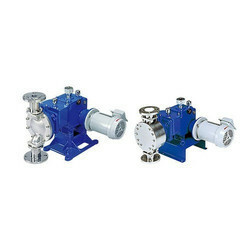 Looking for Chemical Pump ?